Are you getting ready to apply to college or to graduate school? Many qualified LDS students don't apply to Harvard because they don't realize that it's a feasible option. Others are worried about keeping their standards and living the Gospel outside of a Church school. The truth is that Harvard is an excellent place to be a Latter-day Saint and Harvard College offers generous financial aid More than 90 percent of American Families pay the same or less to send their chilrdren to Harvard versus a state school. Read below for more information about the thriving LDS community in Cambridge and Boston and what it's like to be LDS at Harvard. You can also fill out the Prospective Student Info to receive more information from our office. We offer a mentoring program for high school students interested in attending Harvard College. If you would like to be considered for this program, please put your information here: Prospective Student Info. Under "Description" tell us something about yourself. Financial Aid Calculator: How much would you pay to go to Harvard? Use this tool to find out. Keep in mind that this does not take all factors into account so you may receive more or less in financial aid. Admissions Information: Get a headstart by learning what you need to apply. 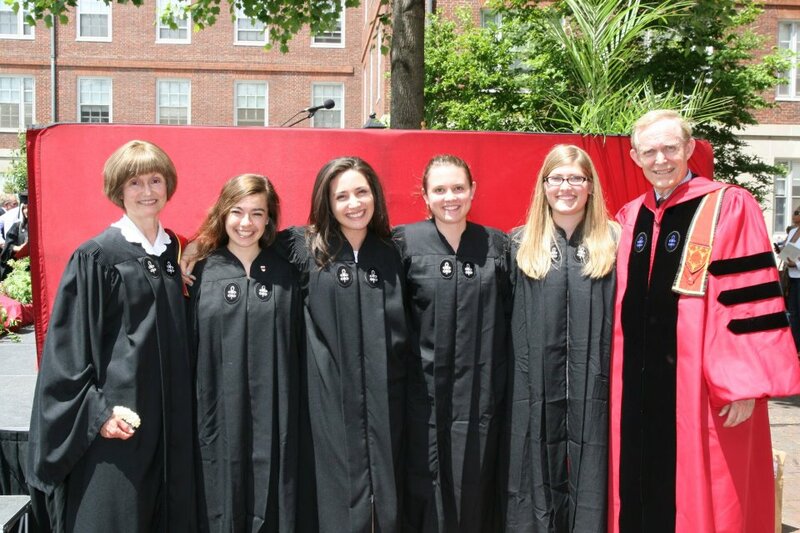 Harvard College LDSSA: Learn about the LDS experience at Harvard College. Funding a Masters or PhD: Read tips from Harvard on funding these graduate degrees. Harvard Business School LDSSA: LDS students are frequently accepted to and excel in this top program. Learn about the LDS experience at HBS. Harvard Law School LDSSA: HLS is regularly ranked one of the top three law schools in the country. Learn about the LDS experience as an HLS student. Visit the ​Cambridge Institute of Religion website to learn more about the amazing institute you'll attend as a Harvard student. Q: What's it like to be a Latter-day Saint student at Harvard? A: Harvard is a great place to be a Latter-day Saint! Many great members of the church have studied and/or taught at Harvard, including John A. Widstoe, Kim Clark, Neil L. Andersen, Robert D. Hales, and Henry B. Eyring. It's a fantastic place to build and strengthen a testimony and get a world-class education that offers vast opportunities for leadership, service, and career impact. The administration and students are typically very curious about and respectful of LDS students' standards. If you stick to who you are, you will thrive at Harvard. Q: How many Latter-day Saints students are there at Harvard? A: Harvard College averages between 30-45 LDS undergraduates (the highest number of all the Ivy League Schools). It is a tight-knit group of exceptional students that are extremely supportive of one another. There are also many Mormon students at Harvard’s graduate schools. Q: Where do Harvard Latter-day Saint students attend church? A: Undergraduate YSAs attend the Cambridge University Ward -- made up of about 150 undergraduates from MIT, Tufts, Boston University, Boston College, New England Conservatory, and other area schools. Graduate student YSAs attend either the Longfellow Park 1st or Longfellow Park 2nd wards. All three wards meet in a chapel less than a ten-minute walk from Harvard Yard, attracting singles from all over the greater Boston area. The wards hold weekly activities and sponsor monthly trips to the Boston Temple. These wards are filled with amazing individuals and you will have the support of committed members with strong testimonies. It’s a great place to meet people, make friends, and find other Latter-day Saints to date. Married students who live on or near campus attend the Cambridge 1st or Cambridge 2nd wards, vibrant wards full of other students, professors, and their families. Q: Are there Institute classes available nearby? A: Yes. Multiple Institute classes are held on Harvard's campus every week. 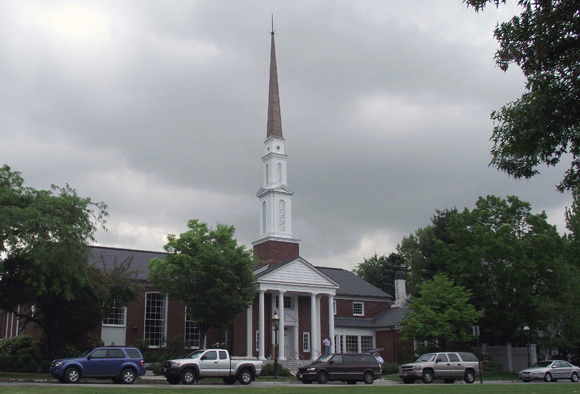 In addition, the Institute teaches a number of other classes at the local meetinghouse (typically held on Wednesdays). 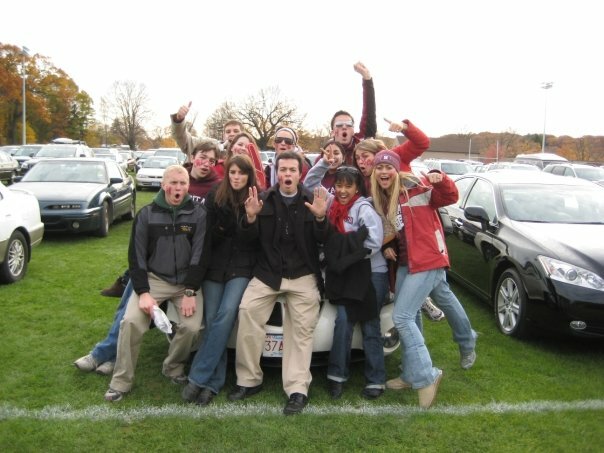 Q: What kind of activities does the Harvard LDSSA (Latter-day Saint Student Association) have? A: The LDSSA sponsors a number of activities every year. We have an annual fall welcome event, Christmas Fireside, a winter retreat, and often meet together to watch LDS General Conference. We also rotate hosting an Ivy League conference with nearby Ivy League LDSSAs. 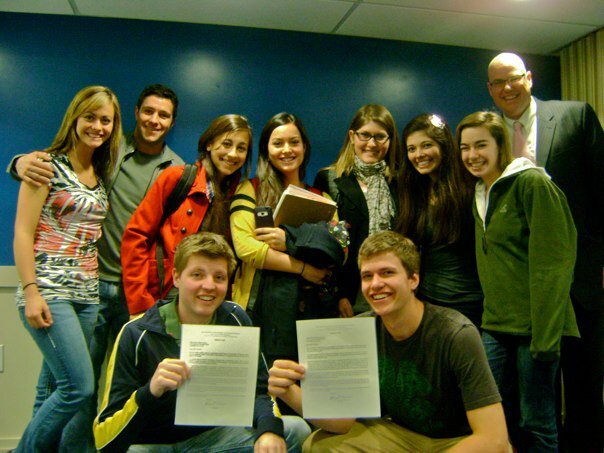 Members of the LDSSA meet often for informal activities like Sunday brunch, study nights, and visits to Boston. Latter-day Saint students also get together informally to take part in the many Harvard activities and sporting events, often forming groups to support members of the church who are involved in collegiate sports and performing arts. .
Q: What are the LDSSA members like? A: We're a diverse bunch of guys and girls from all over the U.S. Many of us have served missions. Our concentrations (majors) range from Philosophy to Neuroscience to Art History to Engineering. Some of us play on sports teams, and we're all involved in extracurricular activities from orchestras to choirs to service organizations. We're really friendly and enjoy getting together for good, clean fun. Q: Can I arrange to have a Latter-day Saint roommate? A: Freshmen are assigned rooms without regard to religion, but it has happened in the past that Latter-day Saint freshmen have been roommates with each other. 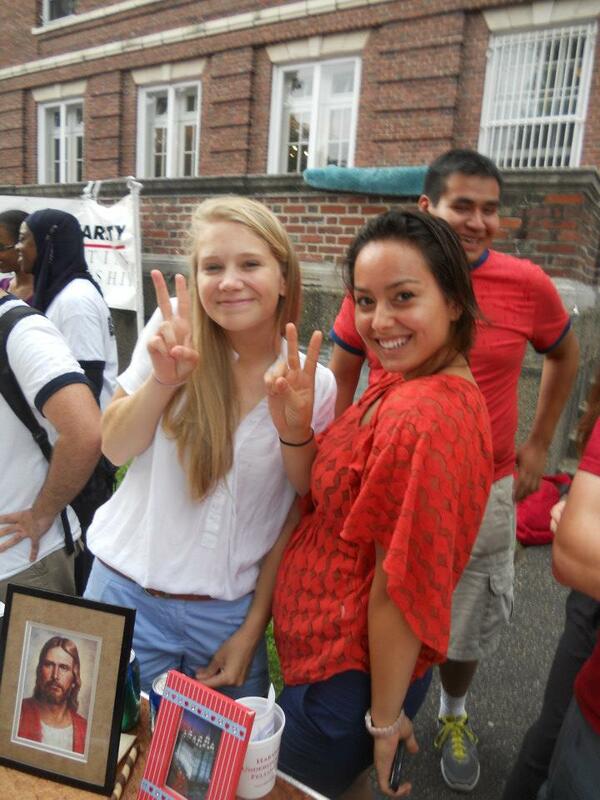 In any case, Harvard Yard is a cozy environment, so you are never far from other Latter-day Saint students. After freshman year, students may choose their roommates. It is very common that Latter-day Saint students room together sophomore to senior years. Q: What if I want to serve a mission? A: Harvard is great at helping students who want to serve missions before they graduate. Students desiring to serve missions simply inform their freshman Dean (if leaving after their freshman year) or Senior Tutor (if later) of the decision and arrange for a leave of absence. Altogether, it takes about thirty minutes to make the necessary arrangements to go on a mission. Returning to Harvard after a mission is equally easy. Students are assigned to upper-class houses near the end of freshman year and usually submit housing preferences to those houses that will be honored when the student returns. There is absolutely no stigma associated with taking time off. Many non-Mormon students take time off to pursue their own special interests. Q: Can I speak with a Latter-day Saint student in person? A: Members of the Harvard LDSSA are excited to speak with you about the Harvard experience and what it’s like to be a Latter-day Saint at Harvard. Email the Crimson Organization at info@crimson.org and we’ll set up a meeting or phone call with a student for you. You can also visit the Harvard LDSSA site at www.HarvardLDSSA.org. Q: What is the social life like as a Harvard undergrad? A: Whatever your particular interests, Harvard itself and Boston in general offer more they could do in four years time! Harvard students are generally very outgoing, and the student body is so diverse that you’ll easily be able to find a group of friends. You can always find something to do on the weekends. The truth is that Harvard students are often so involved in their activities of choice that they spend their weekends doing athletics, music, theater, etc. Harvard also has a number of really fun campus-wide dances each semester, and there are lots of free and low-cost events in the area. Q: If I want to visit campus, can I stay with a Latter-day Saint student? A: Absolutely! You can email the Crimson Organization at info@crimson.org and we’ll help arrange a campus visit with another Latter-day Saint student, or you can visit the Harvard LDSSA website www.HarvardLDSSA.org.